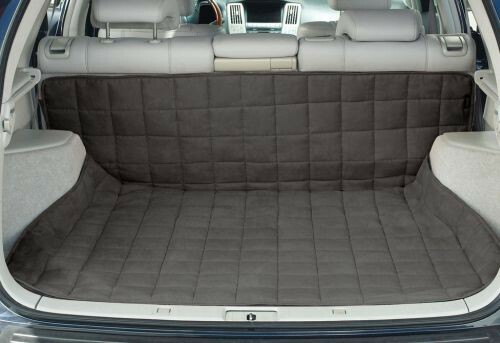 Deluxe Reversible Cargo Mat, by Sure Fit, is an innovative cargo mat that is designed in comfortable faux suede with box-stitched quilting and lofty 4 oz. filling that reverses to fluffy sherpa for two looks in one. Perfect for pampering pet lovers and furry friends alike while protecting the back of your automobile from pet hair, stains and wear. 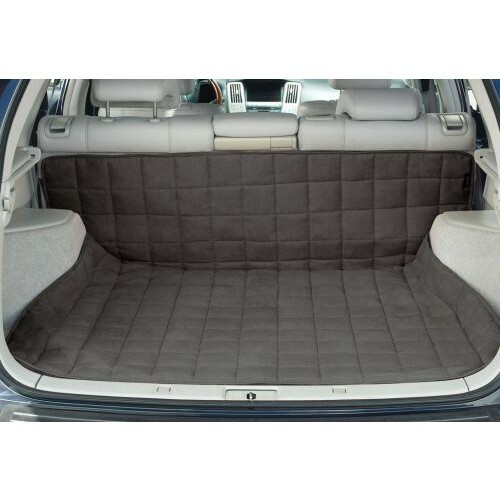 Deluxe Reversible Cargo Mat features a 4-inch all-over diamond quilting pattern for added dimension and is made of 100% polyester suede with 100% polyester fill and 100% polyester faux sherpa backing. Protects the Back of Automobile from Pet Hair, Stains and Wear. Comfortable Reversing Faux Suede-to-Fluffy Sherpa Design. 4-Inch Diamond Quilted Pattern Adds Dimension. Material: 100% Polyester Suede with 100% Polyester Fill and 100% Polyester Faux Sherpa Backing.